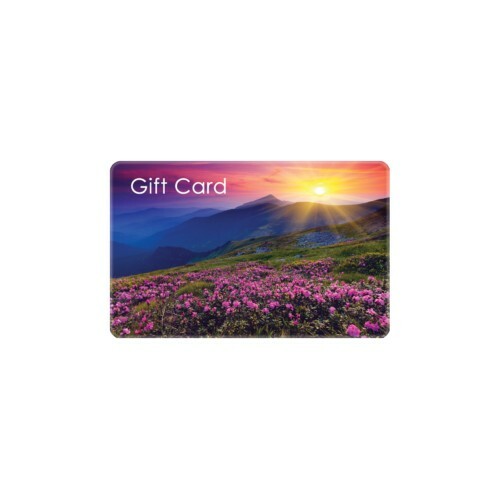 Custom Printed Gift Cards are the same size as a standard credit card: 2.125″ x 3.375″. Eco-friendly materials — no PVC. Perfect for Loyalty cards, too! Everything you want is included for one low price! Custom design included — just send us your logo and other images to mariah@localgiftcards.com. Add QR codes and barcodes for free. Track 1 and 2 encoding — if you’re not sure how your magstripes are encoded, send us a card. Printed in 10-12 business days. We will email you an electronic proof within 2 business days after you submit your artwork.